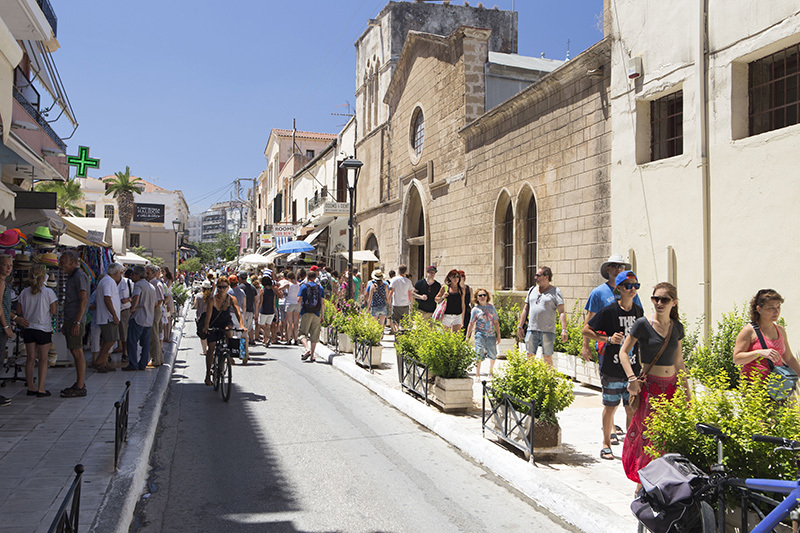 Lovers of history and ancient civilizations will definitely find their paradise in Crete! 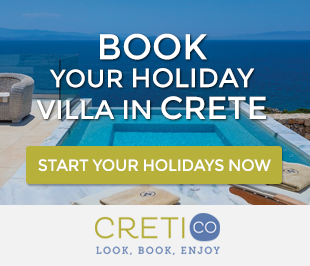 Apart from the numerous archaeological sites and scattered monuments, Crete museums cover the whole range of its long history and host rare finds from the prehistoric Minoan civilization until modern times. 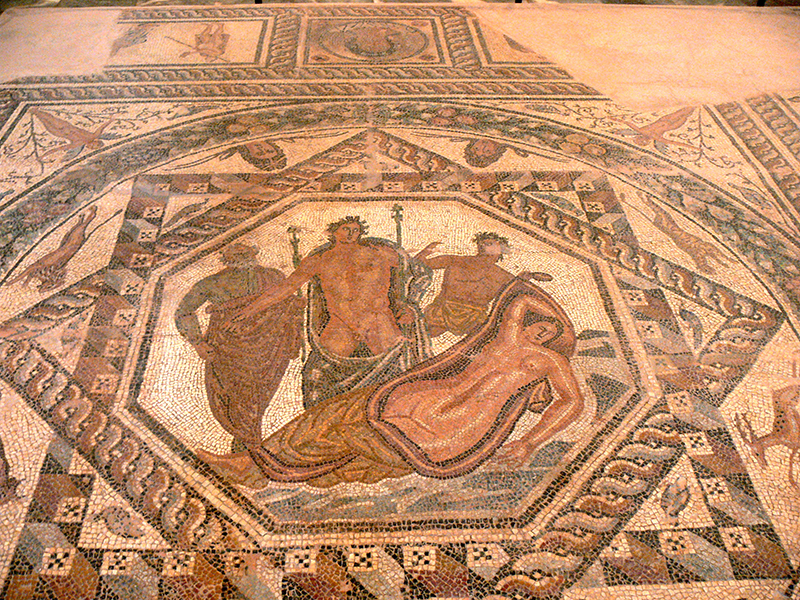 So it is really worth dedicating one or two days of your holidays to visit the Top 10 Crete Museums. 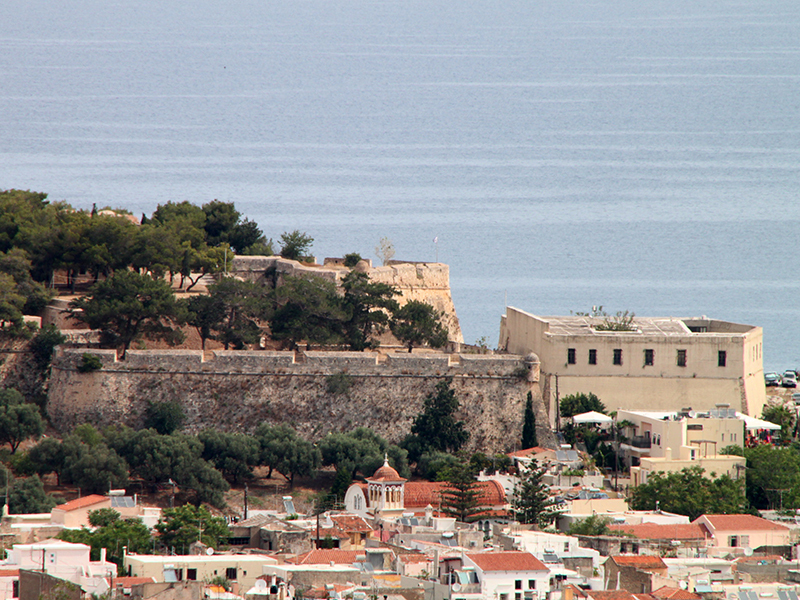 The Archaeological Museum in Rethymno is located in the pentagon building, which stands in front of the main gate of the Fortezza. 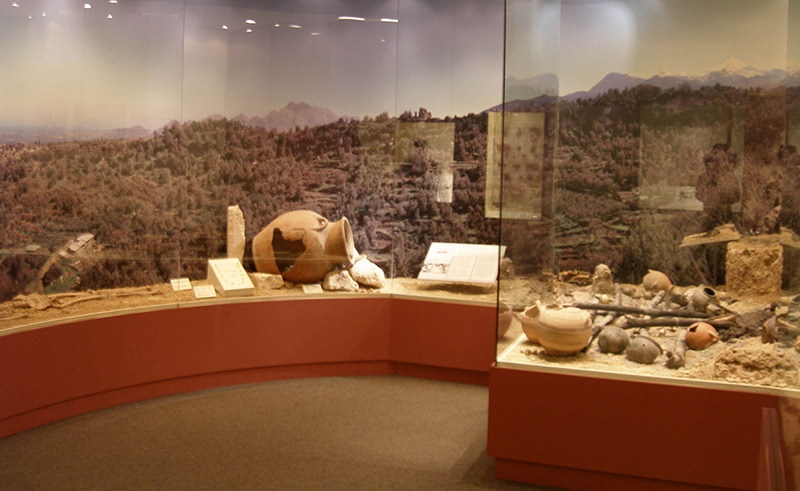 The exhibits come from many parts of the county, covering the prehistoric and historic times. In Melidoni cave were discovered artifacts from the Neolithic (3500-2900 BC) and Early Minoan (2800-2100 BC) era. These items are mainly ceramics and sculptures. 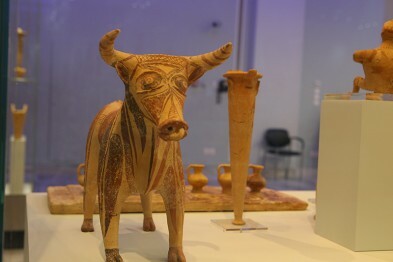 Guests also have the opportunity to see artifacts from the Late Minoan period (1600-1100 BC), the Geometric period (1000-700 BC), the Archaic (700-500 BC) and Classical period (500-300 BC). Finally, from the Hellenistic period and the Roman era it is worth seeing the marble statue of Aphrodite, a Roman copy of the famous Greek statue. What is very interesting is the large number of seals and a clay model of an altar, preserved only in its upper part. Of course, do not miss the museum’s collection of coins from different periods. 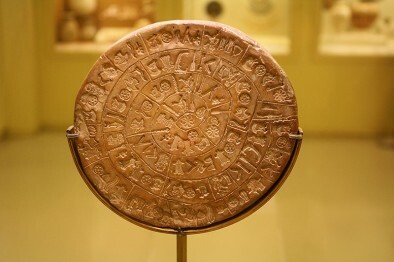 The Archaeological Museum is located in the center of the city of Heraklion and is one of the most important Archaeological Crete Museums and whole world. 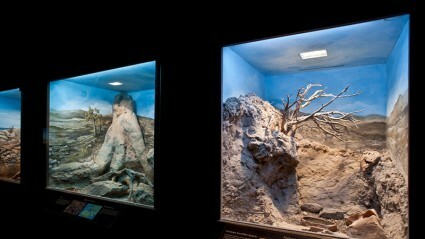 The exhibits cover a period of 5500 years from the Neolithic era until Roman times. 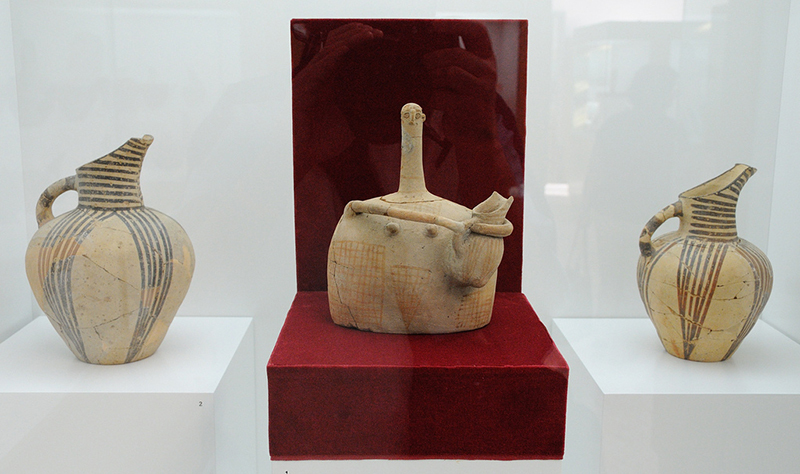 It presents the largest collection of finds from the Minoan civilization, the first civilization developed in Europe. 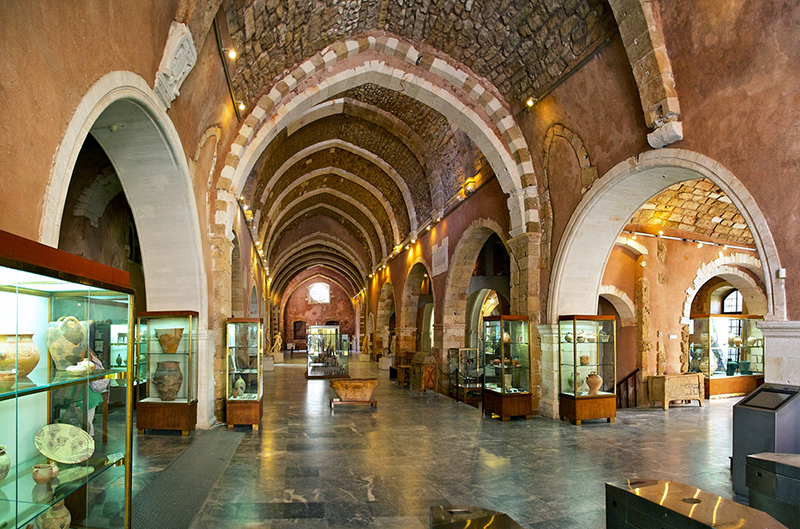 Visiting Herakion museum is one of the 10 things you should do during your Crete holidays. 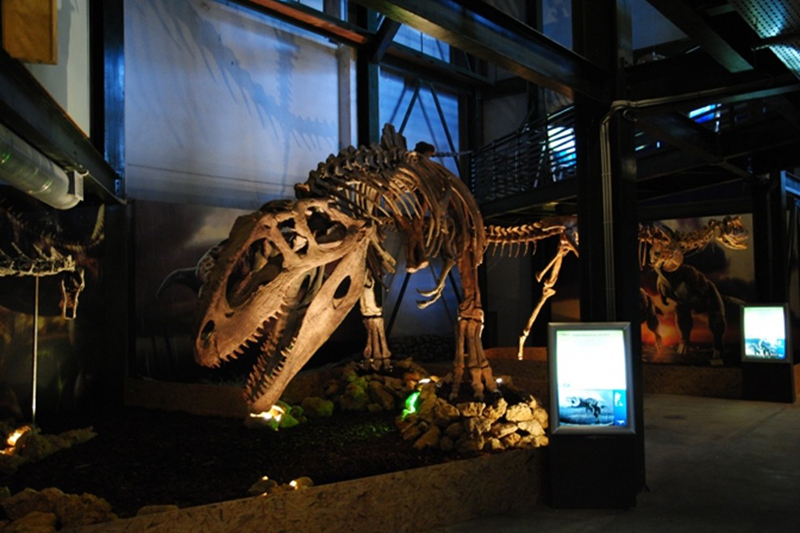 The museum after its renovation and expansion of facilities opened to the public in May 2014 and now has 24 rooms. 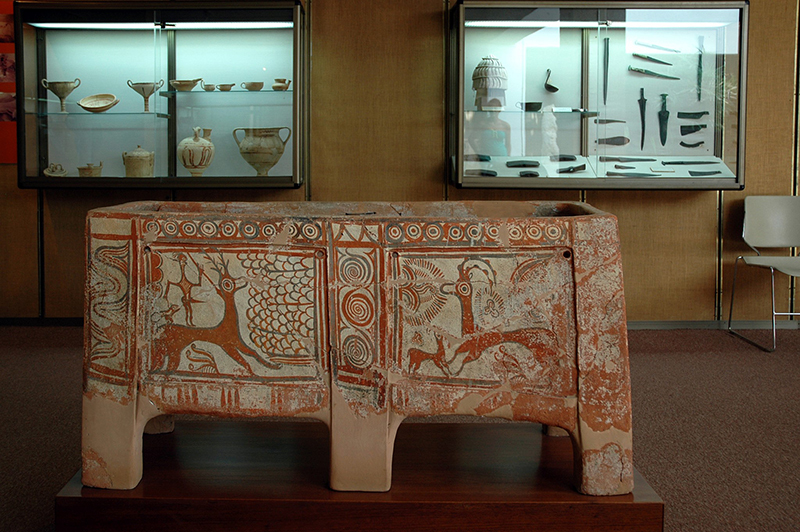 Visitors can admire unique exhibits from the excavations at Knossos, Phaistos, Agia Triada, Malia and other important centers of ancient Minoan Crete. 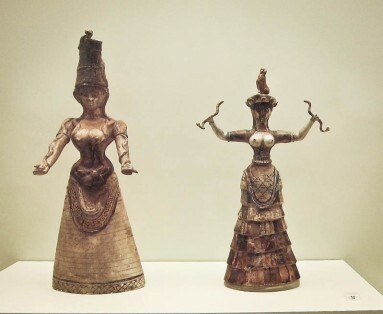 The tour starts from the rooms in the ground floor which are dedicated to the Minoan civilization, covering all phases of the Minoan civilization, from the Pre period (3000 – 1900 BC) until the final palatial period ( 1450 – 1300 BC). The introductory texts of each hall give the main characteristics of each period. In these Minoan rooms the visitor sees objects of Minoan art, jewelry, pottery, objects from everyday life of the Minoans, items used in their religious worship, sarcophagi, sanitary seal cutting etc. Also, in the explanatory texts of each section are analyzed the habits and in which was organized the economic, religious, social life of the Minoans. 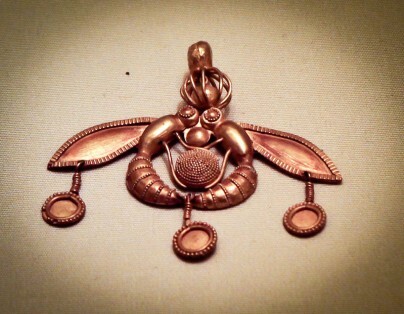 Among the exhibits are some of the most famous discoveries, such as the Minoan Snake Goddess, the Phaistos Disk, the Ring of Minos and the jewel with the Bees. 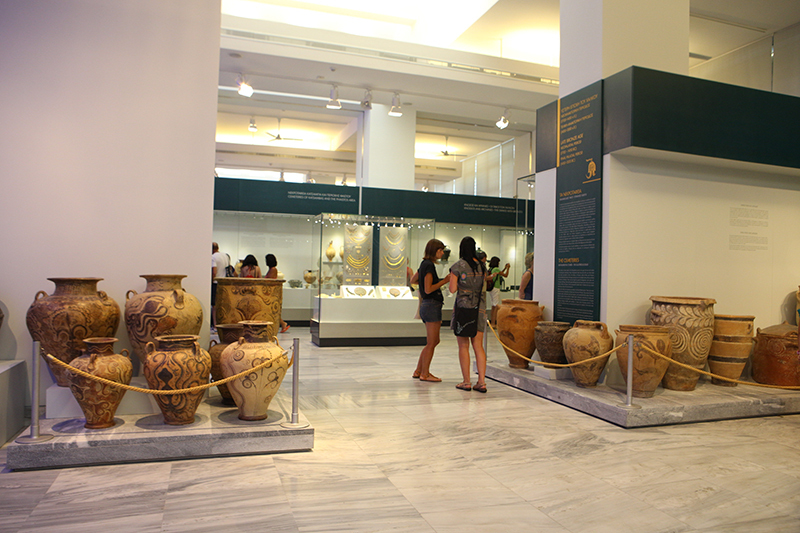 The Archaeological Museum in Agios Nikolaos was founded in 1970, in order to present the numerous finds from eastern Crete which until then, were hosted in the Museum of Heraklion. The exhibition covers the period of the Neolithic age to the end of the Greco-Roman period. 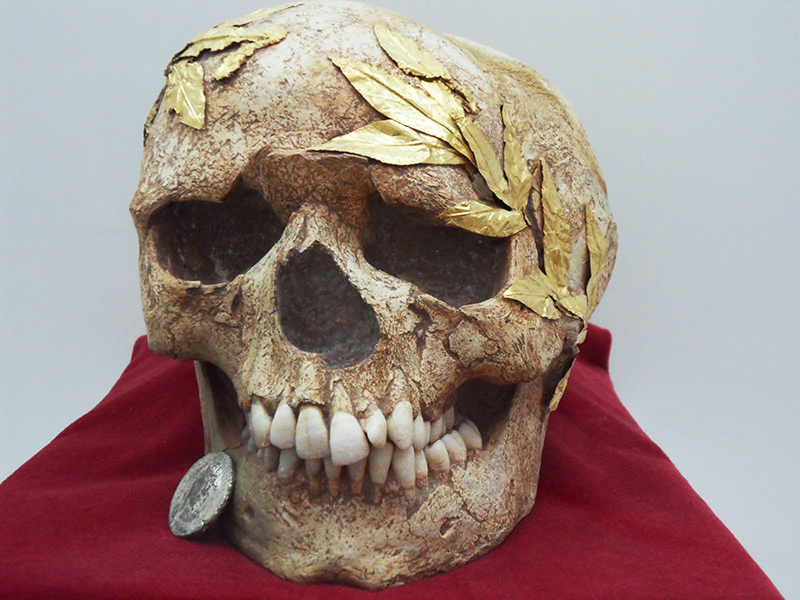 Undoubtedly, the most important exhibit of the museum is the skull of a young athlete with a gold wreath (possibly olive made) found in the 1st century AD in the Roman cemetery of Agios Nikolaos. 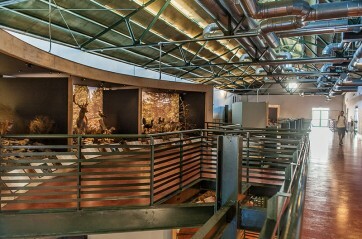 The museum is divided into five halls. In the first hall, stands out the phallus-shaped statuette, found in the cave of Zakros. 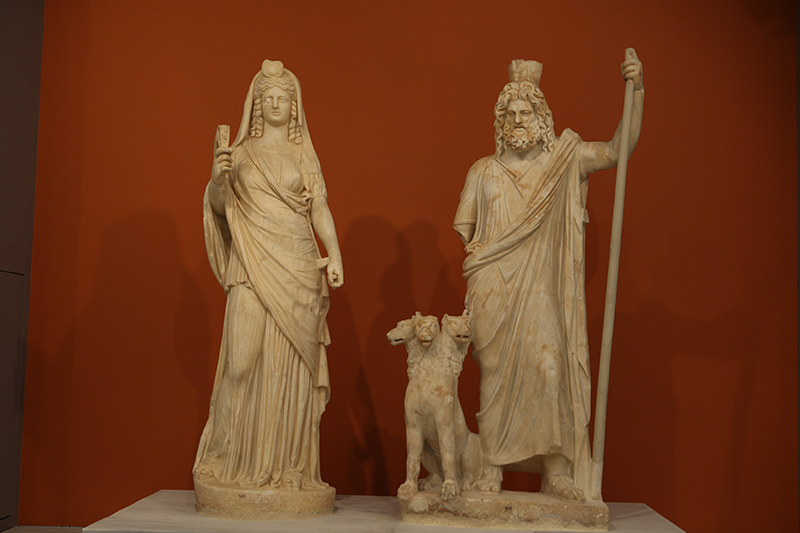 Moving on to the second hall, we find the most famous object of the Museum, the “Goddess of Myrtos”. It is a special libation vase in the form of a goddess with very small head on a tall, thin neck and bell-shaped body. The fifth hall is dedicated to the New Royal period (1700-1450 BC), while the last hall adorn the findings of the Classical, Hellenistic era. 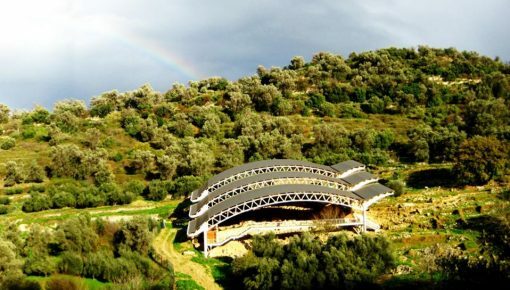 The Natural History Museum of Crete operates within the Faculty of Science of the University of Crete and presents not only the natural wealth of the island, but also the rest of Greece and the Eastern Mediterranean. In the 800 square meters of the museum, in especially designed rooms, the visitor has the opportunity to learn about the geological evolution of Crete. Caves, species that once lived on the island, endangered animals such as the seal and the bearded vulture, and plants and organisms of all kinds. The interest of the museum is how to report issues with faithful representations of animals to their real dimensions (dioramas). The museum also has an outdoor botanic garden. 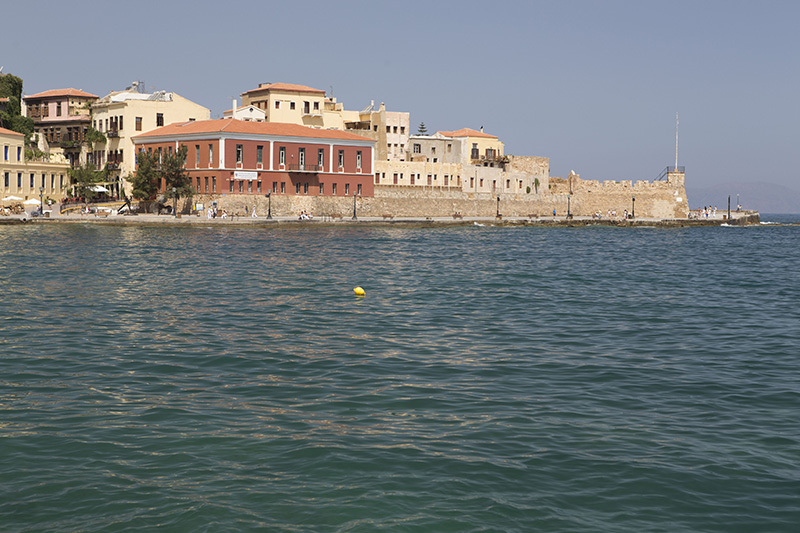 The Maritime Museum of Crete is located at the entrance of the historic Fortress of Firkas, in the Old Town of Chania. It was founded in 1973 and awarded by the Historical and Ethnological Society. 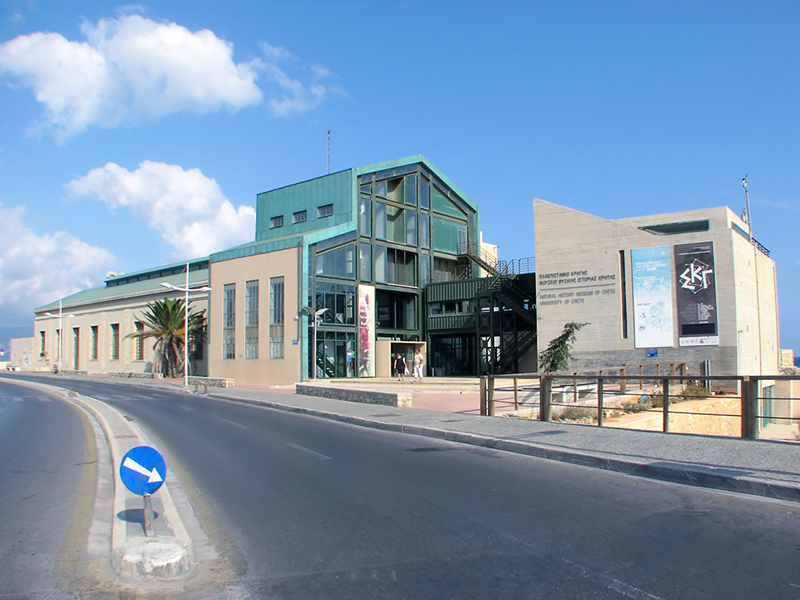 The museum is spread over two floors and is divided in thirteen sections, from ancient times to the Battle of Crete. 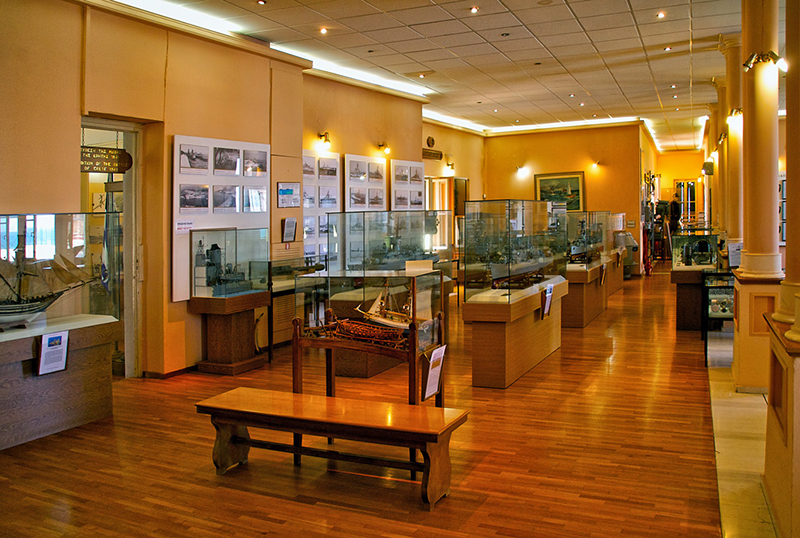 The permanent exhibition includes 2,500 exhibits, such as relics, objects hauled, paintings, maps, photographs, models of ships, various nautical instruments, etc. 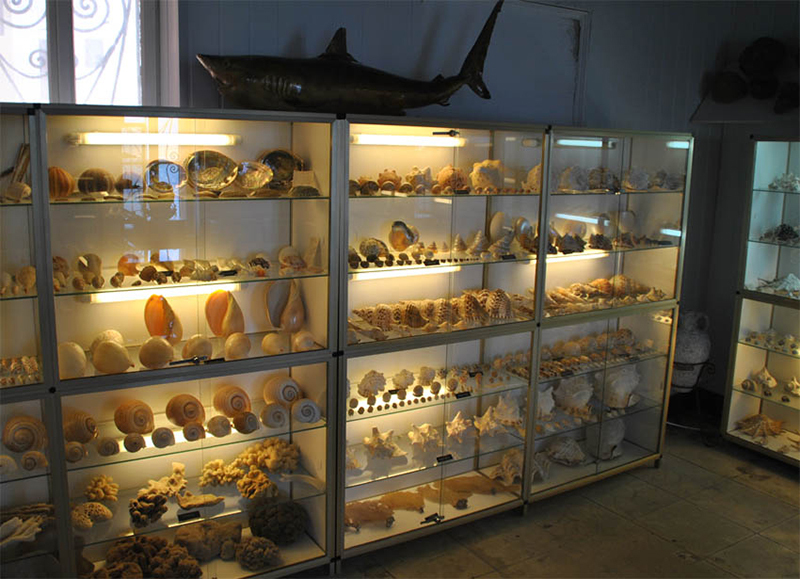 Unique is the report of the marine environment with a rich collection of shells from around the world, as well as the extensive library with Greek and foreign publications with navy content. 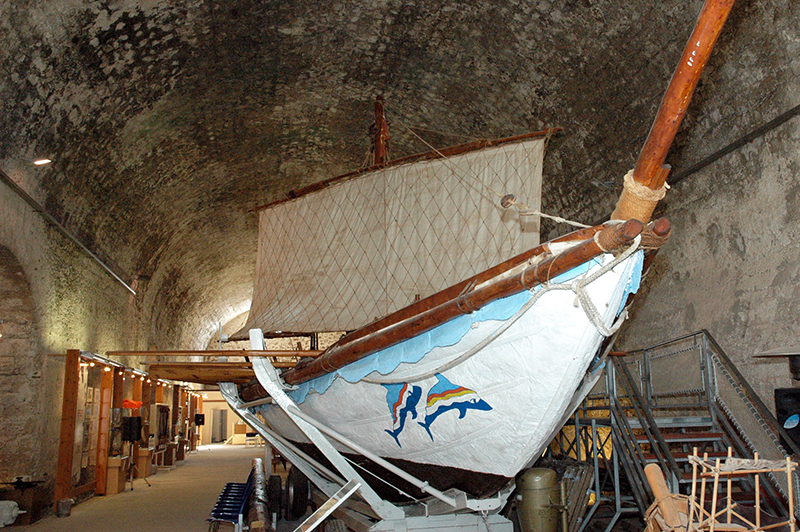 The museum also has a structure model of the Minoan ship “Minos” which is on display in a separate building, “Neoria” (the Venetian shipyards), in the eastern part of the old port, near Koum Kapi district. 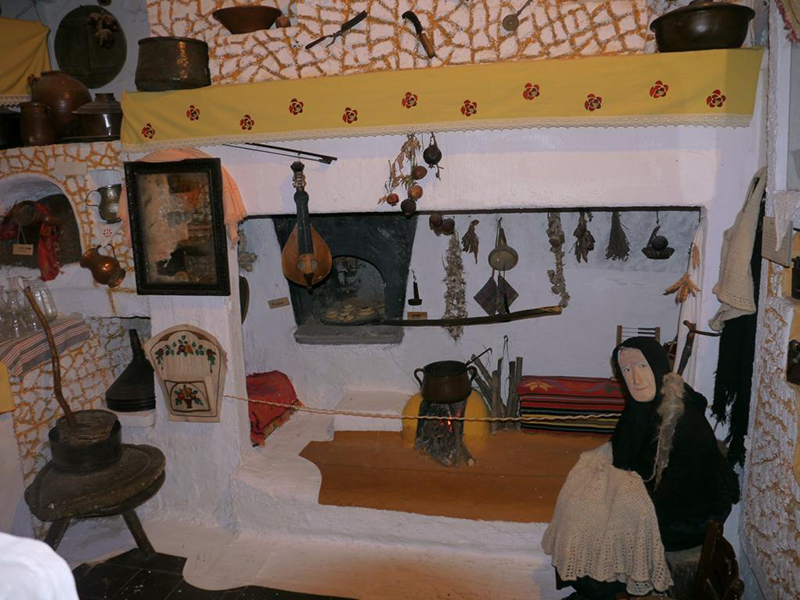 It is one of the many Folklore Crete Museums. 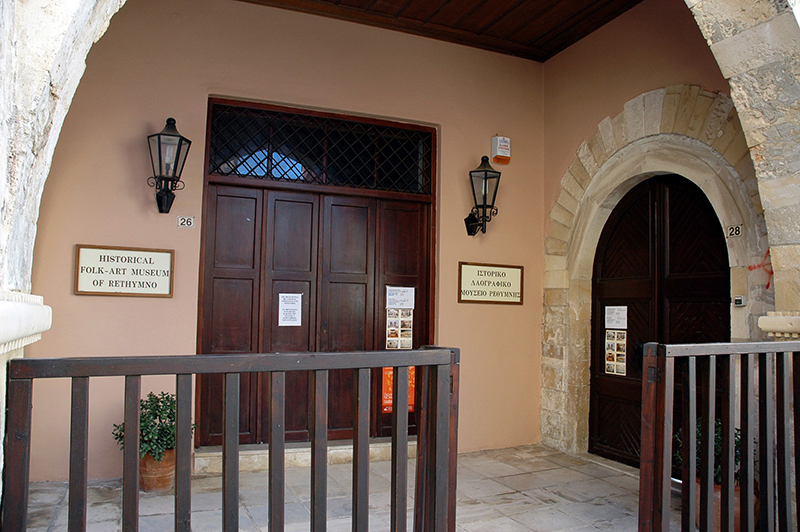 It is private and was founded by Aspasia Bikaki and Irene Koumandaraki, housed in a hall of the Municipal Library, the entrance of which is located in the courtyard of the Catholic Church of Chania. 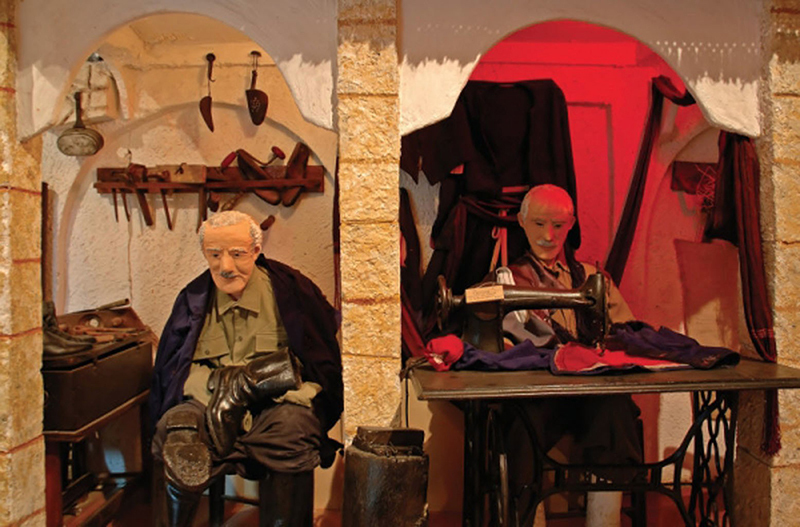 It presents folk art and traditional exhibits relating to the life of the island in the 18th and 19th centuries. The visitor can see representations of agricultural work (plowing, sowing, harvesting, threshing and pressing the grapes), representations of household occupations, even representations of traditional professions, such as tailor and shoemaker. Remarkable is the collection of lace and embroidery, as well as the waxwork and the bridal bed. 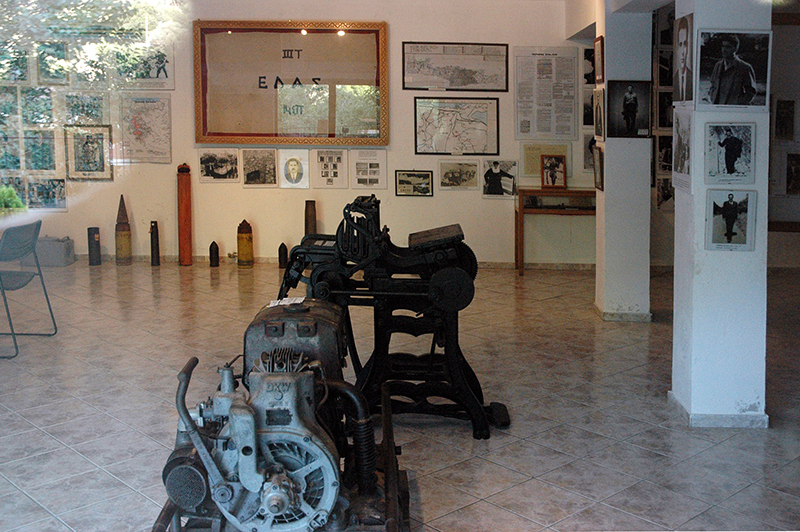 The museum is located in Therisso, a mountain village close to Chania city. It was founded in 1985 and is housed in the building used as the headquarters of Eleftherios Venizelos, the most important Greek politician. 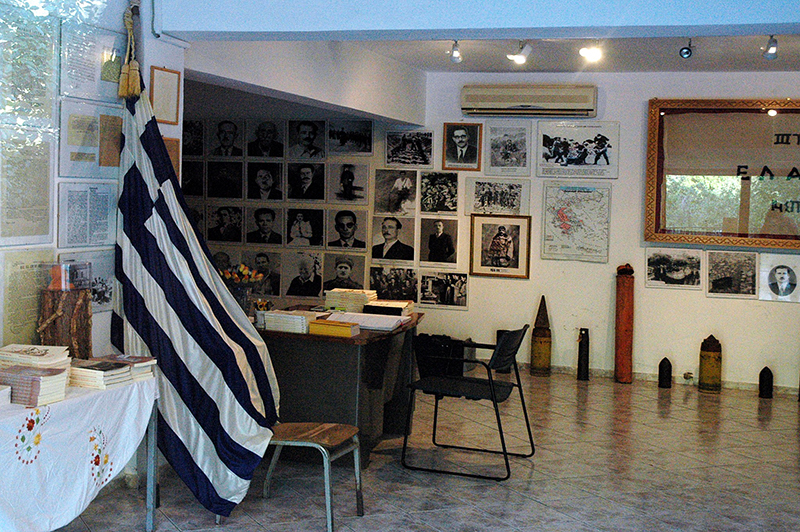 The museum exhibits objects of the period of the struggles for the union of Crete with Greece : a large number of photos and documents, weapons, military uniforms and even personal belongings of Venizelos. The museum operates in a restored Venetian 17th century manor house operates the museum. The museum’s collection comes from donations and purchases. It has more than 5,000 items. 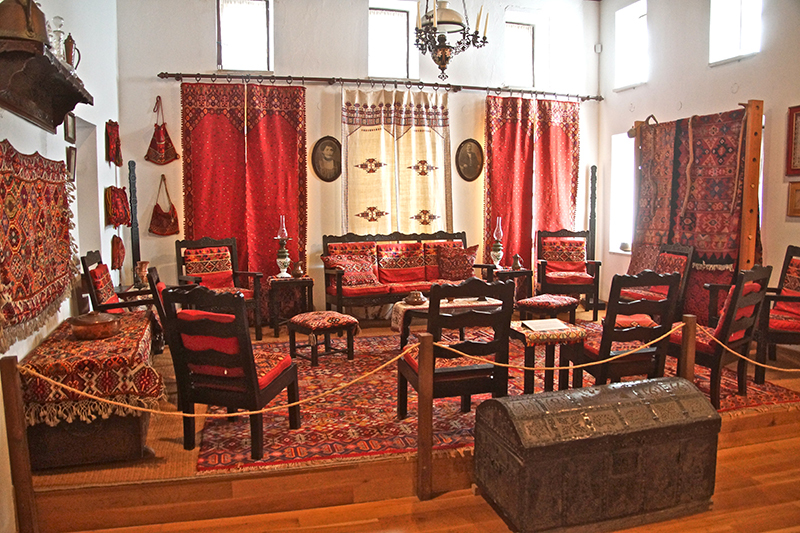 There are five halls including objects of traditional handicrafts and folk art. In the first hall, you will find textiles and weaving tools, as well as traditional male and female costumes, jewelry, watches and knives. 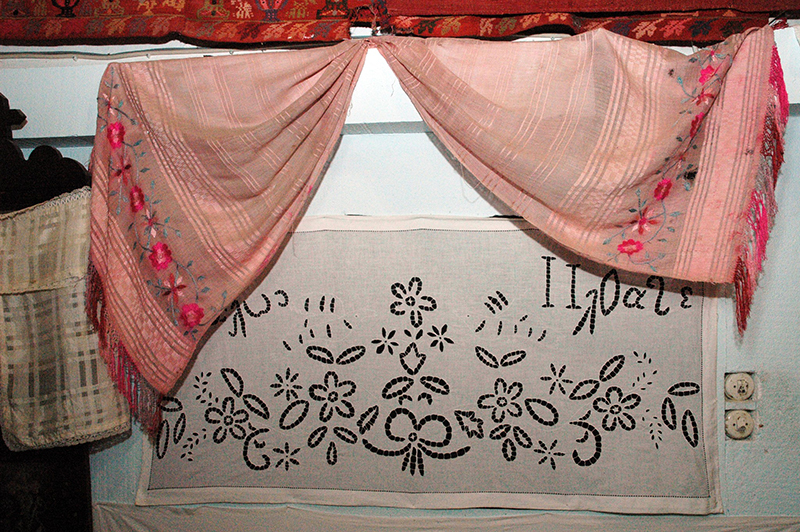 The second room is dedicated to embroidery. In the third hall, there are baskets, used by people in their everyday life and ceramic vessels used for oil and food. In the next room are presented traditional farming and harvesting tools, copper utensils etc. 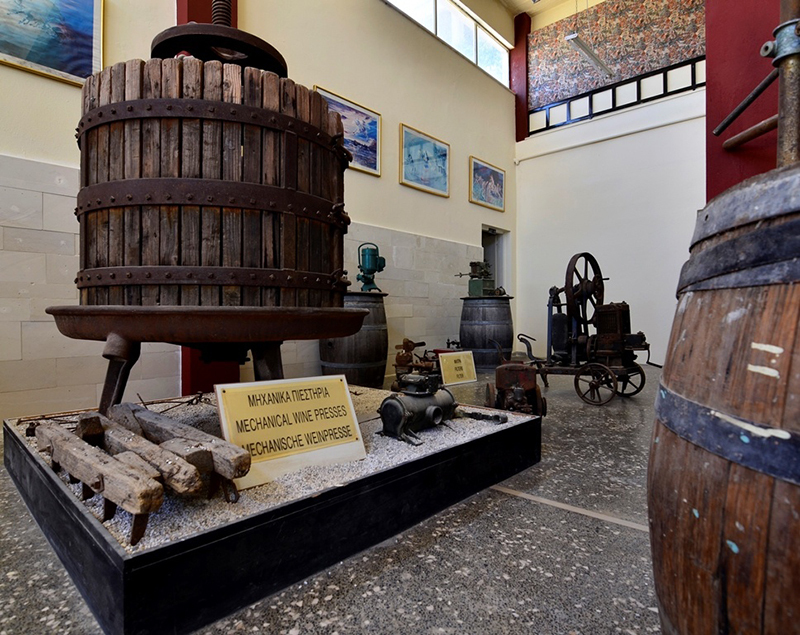 It exhibits a collection of tools and equipment for the production of traditional Cretan products such as oil, (oil mill, millstones, manual oil paste press) wine (grape press, wine pump, distillation apparatus, etc.). 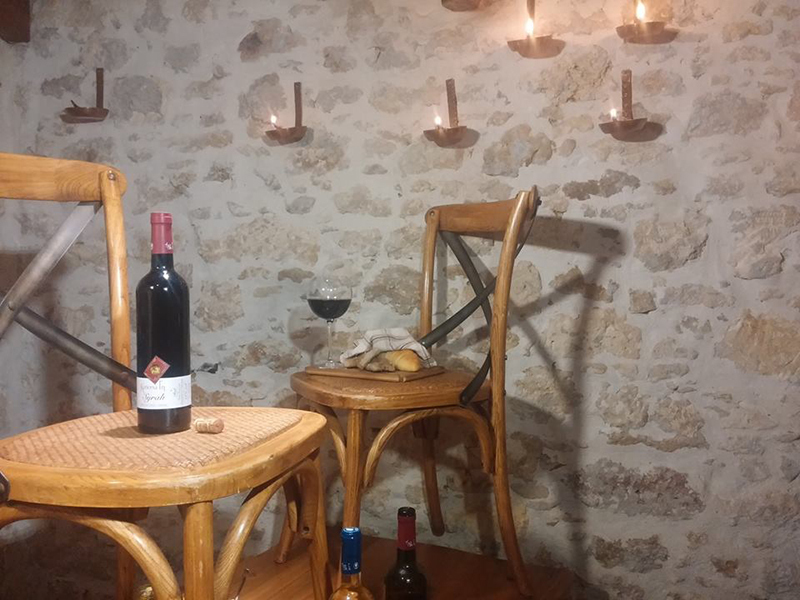 In the same place, you will find a tasting room and wine shop. 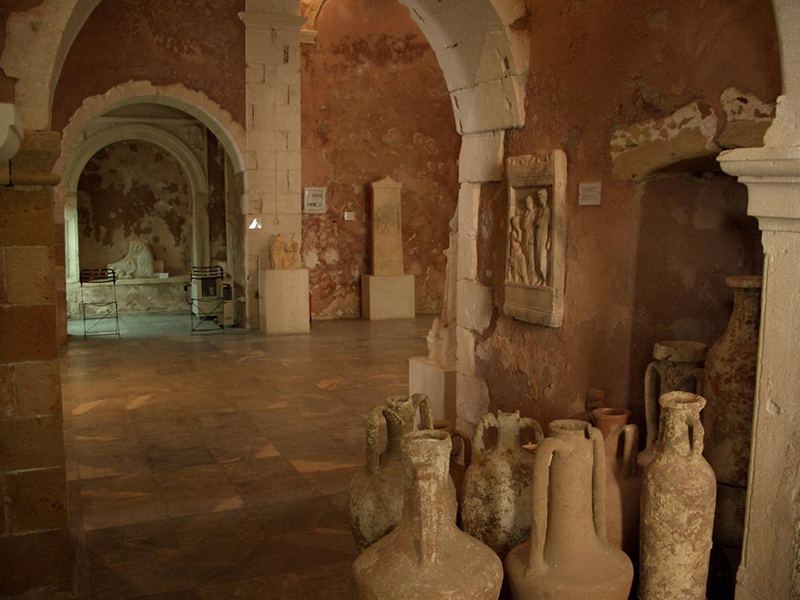 Read also our new article: “Eleftherna Archaeological Museum Opens Its Doors To Public” . 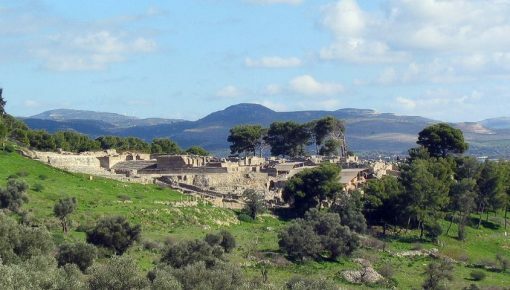 Posted on 24 Dec 2015 in Cretan Culture and tagged Archaeological Sites In Crete.